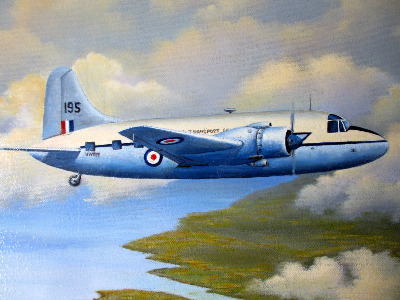 Vickers Valetta, military twin engine transport, oil on canvas, signed John Pettitt, 2004. SOLD 04.01.2015. Ranchi Art and Antiquarian Books Shop > Alphabetical list of Artists by Surname or School. > Pettitt, John (20th C Aviation/Maritime). British. 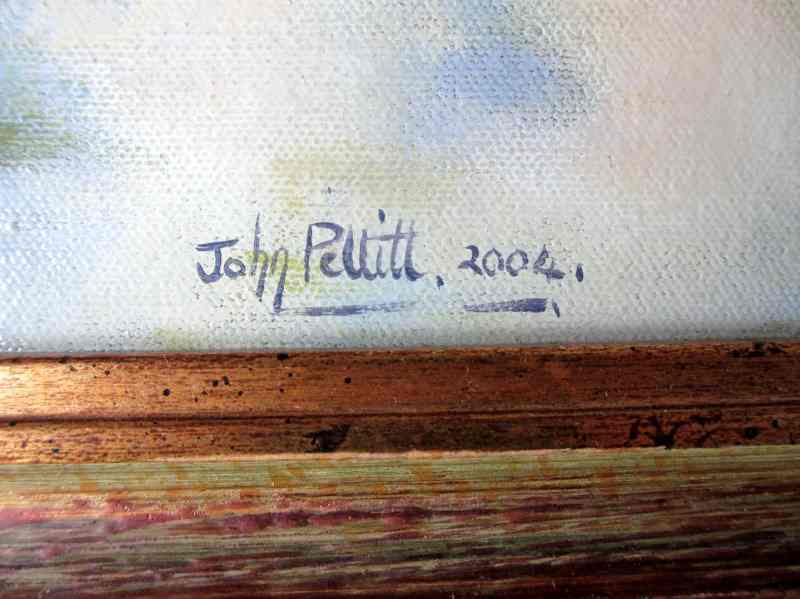 Oil on canvas, signed John Pettitt 2004. Dimensions : Frame : 484mm x 382mm x 25mm. Image : 398mm x 297mm. Weight : 0.900kg net. Condition : Good. Vickers Valetta, military twin engine transport aircraft, in flight, oil on canvas, signed by John Pettitt 2004. Dimensions : Frame : 484mm x 382mm x 25mm. Image : 398mm x 297mm. Weight : 0.900kg net. 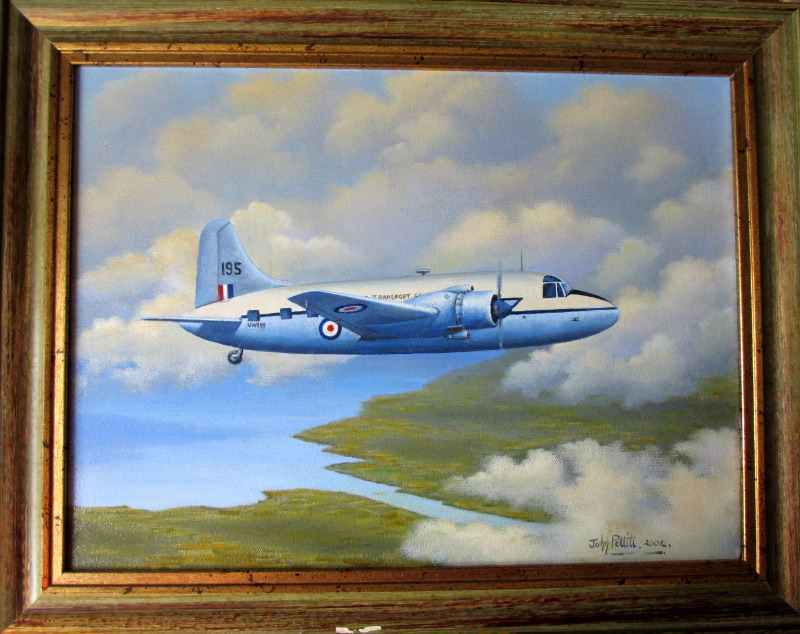 Condition/Notes : The oil on canvas painting depicts a Vickers Valetta military twin engine transport aircraft in flight over land. The painting is in good condition with good strong colours and no damage. The painting is signed and dated in the artist's usual manner in the lower rh corner. This study is typical of the work of this well known Aviation and Maritime artist. 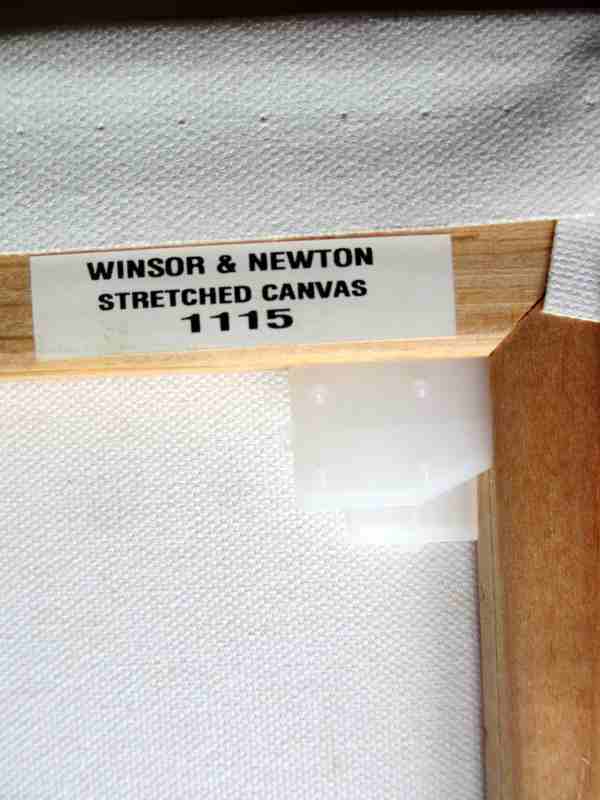 The painting is executed on a Windsor & Newton stretched canvas 1115 and is housed in a contemporary green and gilt wooden frame. 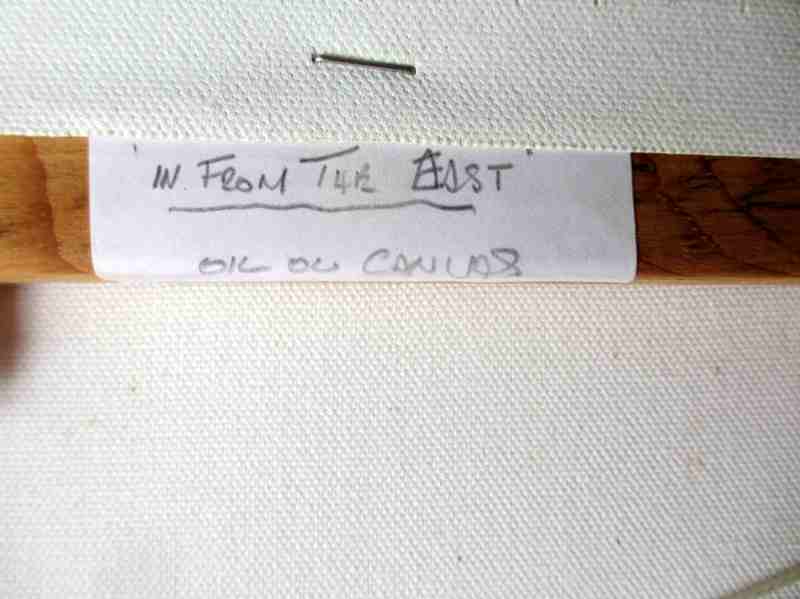 A label with pencil handwritten "In from the East. Oil on canvas" is attached to the upper stretcher horizonal. 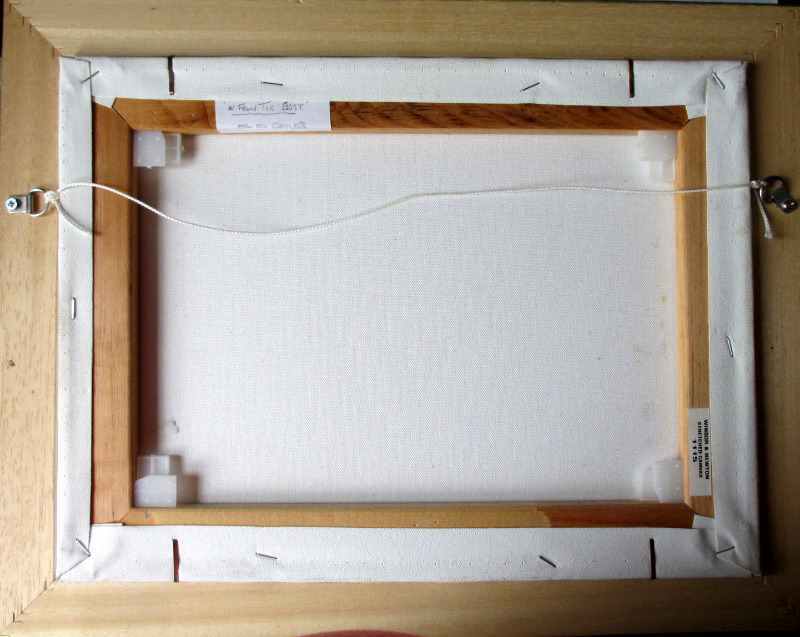 The frame is in good condition with a few minor scuffs. Rings and cord attached ready for display.